The royal heritage city of Udaipur rich in its culture, heritage and monuments also known as city of lakes warmly welcomes you. We are serving this industry for more than 30 years and we make every effort to provide more comfort and luxury to our valued guests. We at Hotel Savera arrange your stay in a most homely and friendly atmosphere with sheer comfort at most affordable tariff. Our luxurious guest rooms are airy, finely furnished, spacious, modern rest rooms, king size beds, all designed for comfort and cleanliness to suit your style & living, equipped with all modern amenities. 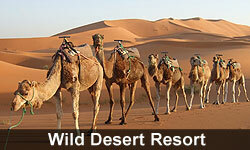 Hotel Savera is a perfect destination for tourists, leisure, pilgrim as well as corporate guests. 24 hours Room Service is available serving delicious food (7am to 11pm). Conference Facility is also available up to 70 persons. Hotel has a welcoming Reception & Information desk to support guests with sight seeing, car rental services or other travel assistance. Hotel Savera is located just opposite central bus stand, 2 minutes drive from railway station & 21 kms. From Airport. 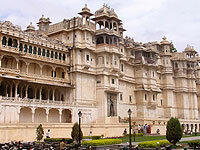 Udaipur is an exotic tourist destination counted amongst the top ten romantic cities of the world. It has five gorgeous lakes and so called as the city of lakes. It is also know as the "Venice of East" due to its interconnected lakes. 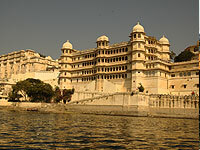 Udaipur is a royal city that had been the capital of Mewar rulers for centuries. The romantic city of Udaipur has a legend behind its origin and it goes like this. Once, Maharana Udai Singh happened to meet a holy sage when he was on his hunting expedition in the Aravalli Hills. The Sage counseled the King to establish a kingdom in the fertile valley that would be well-protected by the elevated Aravalli Hills. 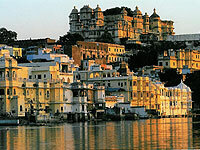 Subsequently, Maharana Udai Singh laid the foundation stone of Udaipur in 1557 A.D. Udaipur is an oasis in the desert. You're sure to have a memorable time exploring the palaces and markets of Udaipur, when you stay at HOTEL SAVERA Udaipur.